Do iPads Belong in a Wall? 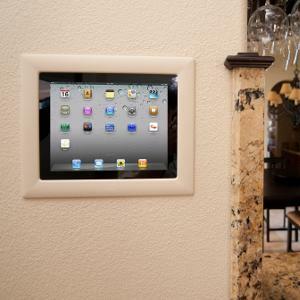 It may be irrational, but even the wealthiest homeowner may find it wasteful and just plain wrong to mount an iPad semi-permanently behind a wall. Where does an iPad belong? On a countertop? Coffee table? The couch? Your lap? Or should it be Velcroed to your dashboard, mounted on the wall like a monitor, moved from wall station to wall station via plastic tabs or snap-on discs, or mounted permanently behind a bezel? Custom electronics pros are debating this very topic on dealer-oriented forums, and the opinions are mixed. In our world, the iPad is so cheap compared with most traditional automation touchpanels that you may as well buy several of them and lock them into the walls like those old-fangled touchpanels we used to sell for $3,000 apiece. But our world has changed! By that time, they’re already used to toting their iPads around the house, from room to room as needed. Maybe they have a few scattered around the place. Mobility is one thing they really love about this lightweight, skinny screen. So won’t they balk at the idea of forever locking an iPad into the wall? It may be irrational, but even the wealthiest homeowner may find the idea wasteful and just plain wrong. Bethesda Systems in Maryland has a nice blog post beseeching clients to do the unthinkable: tether their iPads. iPad was designed to be held in your lap. And it’s proven itself to be a truly revolutionary mobile device. And now we’d like you to consider…letting go. Literally. He shows some nice examples of iPads embedded in clever cases such as an old Mac classic, and in convenient places like a kitchen cabinet. Don’t let this happen to you! With your in-wall mounted iPad it’s always safe, it’s always charged, and it’s always right where you left it. Clearly, the right solution for homeowners who can afford it is to have multiple iPads mounted in convenient places around the house. It’s time we took energy efficiency personally. 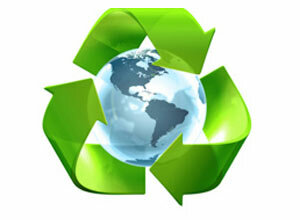 -According to the National Home Energy Efficiency Program (NHEEP), the U.S. housing stock wastes more energy than any other sector in the world. So why are environmentalists, policy makers and others focused on reducing the energy output of industry, transportation and the commercial sector? It’s true that we can make huge gains by making our power and manufacturing plants, cars and commercial buildings much more efficient. But many of us forget to include our homes in the energy efficiency equation. And this, I am convinced, is the primary reason why we are not seeing the efficiency gains we’d like in these other sectors. A recent New York Times article, “Doing More While Using Less Power,” throws around a bunch of conflicting energy efficiency projections. And other articles on the subject typically state projections in the billions and trillions—collective numbers that few can comprehend, not to mention the fact that wildly varied projections stretch into 2020 or 2030 or 2050—times few us can comprehend, especially when most of us are trying to survive in an economically scary 2010. The Times article also laments the fact that some businesses, while they could save millions on energy efficiency initiatives, remain hesitant to do so. “Perhaps the biggest barrier to maximizing energy efficiency is the natural reluctance of people to try something new,” the article opines. That may well be true. In both business and politics, anything new poses risk, and risk is not typically welcome in economically troubled times. But maybe, just maybe, the hesitation people have with all this energy efficiency stuff is that they are not personally invested in it. And of course they are—if we continue on our wasteful ways we will all have stakes in inflated energy costs and a deteriorating climate. But people don’t feel they are invested in it—and that is the problem. The sad part is, people have reason not to be personally invested in energy efficiency: We throw incomprehensible numbers at them—billions and trillions—as well as incomprehensible terms like BTUs and kilowatt hours—and dates that extend far into the future, which more likely inhibits a sense of urgency in the matter. We say we should set policy in industry and in the commercial sector and in transportation—and soon the entire matter is in someone else’s hands—not our own. The problem becomes so much larger than each individual. Instead, we need to personalize energy efficiency and give everyone a stake in it. The numbers above prove we should start our energy efficiency efforts in the home. So why aren’t we doing it? Say what you will about the Toyota Prius—I say you can do the planet better by turning lights off in your home—but the hybrid electric car does one thing amazingly well: It puts energy efficiency in the face of its driver, with a large screen-based readout that makes saving gasoline like a video game. The Prius may not be the best choice for saving the planet, but it manages to personalize energy efficiency and gives its users a real stake in it. And here’s another story, which for many actual people may be far more convincing than a bunch of incomprehensible numbers. I was at a Little League game this summer, the day an energy-efficiency appliance rebate program ran in my state, and the very blue-collar, probably not so energy-efficient granddad in front of me said, “Yeah, we bought a new washing machine and a new refrigerator—and you know what? It’s going to use half as much electricity as the one we had!” He was as excited about the energy efficiency as he was about his rebate—if not more so. And the funny thing was, the scene repeated itself the very next week with another person who suddenly started thinking about energy efficiency. That is personalizing it. And that is why our energy efficiency efforts should start in the home—with real people and not vague corporate or government entities. 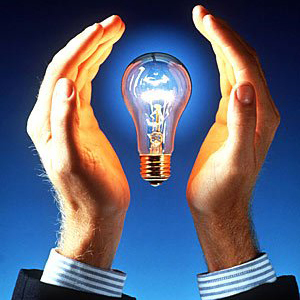 Involve real people in energy efficiency, and we will start to get real results.